A. Log into Paypal account and make payment to our account “paypal@delightcar.com” with your credit card directly. B. We send a payment request to your email and you pay with your credit card online. Click above “Pay Now” button. In the next page, input the amount in USD and click “Continue” button. Click second gray button “Pay with Debit or Credit Card”, input credit card info to make the payment. Email us and notify us your booking items when you complete your payment. Note: We do not ask clients to provide credit card info and do not charge directly from client’s credit card. It is it safe for both clients and us. All payment with credit card will be made via PayPal. 1)Please pay the service charge from your side. 2) Please scan the receipt and send to us via email. 1. 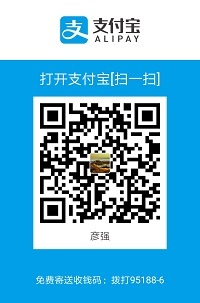 Scan the above code to pay, input amount in CNY currency. 2. Email us and notify us your booking items when you complete your payment. 1) The Beneficiary’s name must be exactly the same as listed or else we can not get the money from our local bank. 2) Please pay the service charge from your side. 2. For transfer from China local banks (or transfer via ATM machines), please show the following info to bank staff.